With this week’s debut of Zach Braff’s Wish I Was Here at the Sundance Film Festival, and the recent release of the official trailer for the Veronica Mars movie, Kickstarter’s biggest Hollywood crossovers are back in the news. Peek below the fold for the latest. I’ll start with Veronica Mars. Certainly, the interwebs were abuzz in early January with the release of the trailer (which is totally filled with fan service–or, speaking as a non-fan, it must be fanservice, otherwise it’s an incomprehensible mess…). More recently, the backers’ faith has been rewarded with the announcement that the CW network is creating a spin-off webseries, as in-kind for the fandom’s startling Kickstarter response. Good for them, I say! With over 20k comments that read far less like the usual, “When are we getting an update? Where is my reward?” stuff, and much more like comments you might overhear in the parking lot at a Phish concert, I’d say that the Veronica Mars team must be doing it right. Veronica Mars premies in March at SXSW. Currently making news, Zach Braff’s Wish I Was Here has debuted at Sundance to mixed reviews (Indiewire) (Variety). Can’t say I’m surprised. Garden State was a zeitgeist-defining lightning in a bottle movie, and I can’t think of many cases where trying to duplicate the magic actually works (it’s why Tarantino made Pulp Fiction instead of Reservoir Dogs 2…). That said, I suspect the skinny jeans and pencil tie wearing, waxed mustache set are going to adore it. Now, I’ve never been a fan of Hollywood’s encroachment on Kickstarter, but there has been another dimension to the Braff Kickstarter coverage that has me scratching my head. 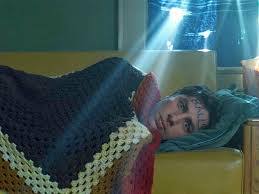 In particular, there has been a string of articles seeking to explain why Braff couldn’t possibly reimburse Kickstarter backers for their investment after selling the distribution rights to his movie (legal reasons), and how awful it is that Braff has sold his distribution rights, when backers are still awaiting rewards. I’m thinking that the authors of these pieces are not, themselves, frequent Kickstarter backers. While I find it pretty detestable that Hollywood money is going after crowd bucks, I’m not convinced that the lame streamers have a clue how this works. A quick perusal of the comments reveal two things: 1) rewards have started going out–well in advance of the September 2014 delivery date attached to the reward tiers, and 2) no one is asking for their money back. The people who backed Braff’s folly (I mean that in the good way, like those funky out buildings on Downton Abbey…) knew the score when they ponied up the money. While I’d love to see a micro-investment platform that actually delivers ROI instead of stickers and t-shirts (damn you, SEC! Did you know they have speedboats? ), by all appearances Braff is doing everything above aboard. Although I love watching crowd funding blowing up in the medias eye, I don’t think Braff’s supporters need white knights just yet. I’m torn. Nothing beats happy backers, and it’s great to see how things are coming together for these projects. However, with these successes, the cat’s out of the bag. Pandora’s Box is open. Hollywood has sniffed us out and is here to stay, for better or worse. I await the opportunity to back Star Wars Episode VII.